English football and rugby dominate the sports pages in the UK. The arenas for these sports, with international visitors, seat tens of thousands of people for any given event. 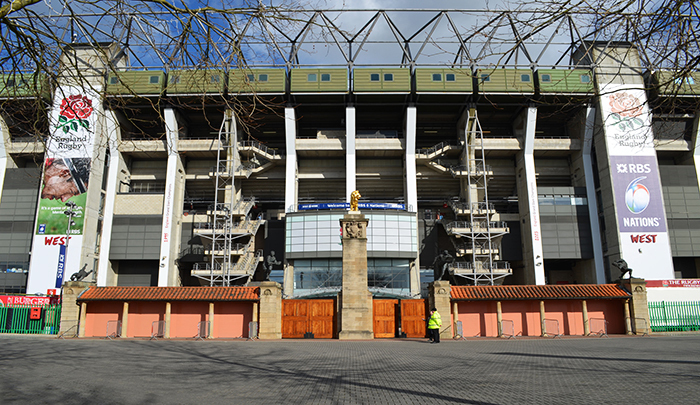 Later this year, the UK will host the Rugby World Cup at “the home of English rugby,” Twickenham Stadium. With the eyes of the world soon on the stadium, the marketing team at Twickenham sought updates for the building’s concrete exterior. Antalis, European products distributor, states “Being such a landmark on the sporting stage, Twickenham stadium is constantly looking for ways to maximize its presence and promote its significance as a historic sporting venue for international rugby,” according to a blog post the team posted regarding the project earlier this year. 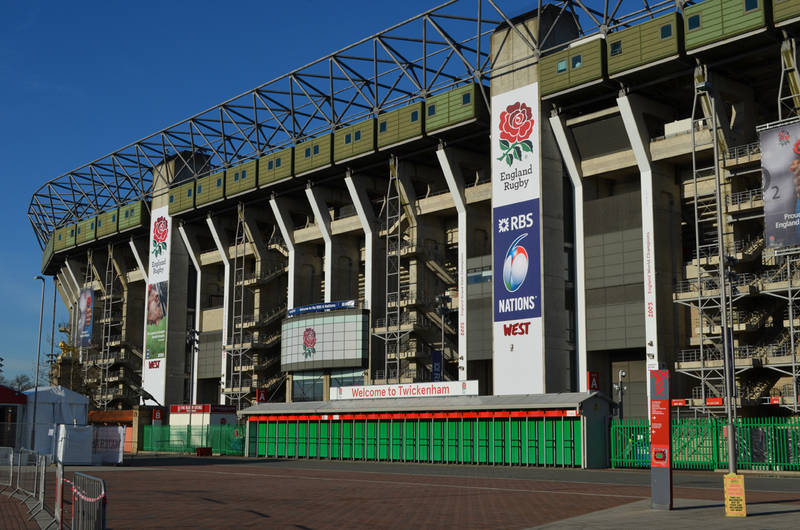 The marketing team at Twickenham collaborated with Service Graphics, UK visual communications specialists, to transform the concrete stadium exterior into something much more inviting. To strengthen the stadium’s identity, a series of vertical banners were printed on KAPA®tech, supplied by Antalis, and attached to the 51, 105 foot, vertical columns that envelop the stadium. John Bayly, Account Director –Sport at Service Graphics further explains that although KAPA®tech was “the substrate we were looking for” the product hadn’t officially launched in the UK at this time. Working with our UK team, production was started regardless of the date, especially for this installation. Antalis supplied and fabricated the material to adhere to the tight time constraints, while the printing and installation were complete by Service Graphics. 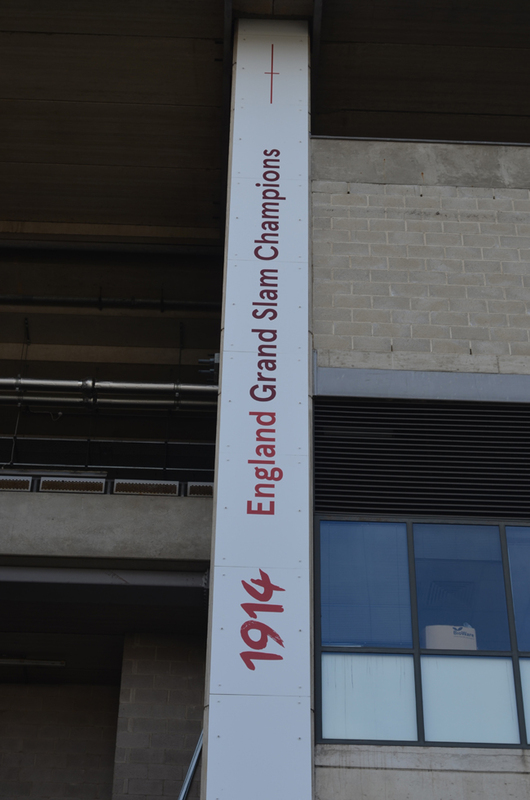 Interestingly, the banners that blanket the concrete exterior showcase the victors of English Rugby over the years with the option to replace banners when new victories are achieved.